For many learning and development (L&D) professionals, training evaluation practices remain mired in the muck. What ends up being evaluated hasn’t changed much over the past two or three decades. We almost universally measure whether trainees liked the training, most of us measure if they learned something, and beyond that, evaluation is a mix of “we’d like to do that” and, “we’re not sure of what to make of the data we get.” Perhaps more critically, in one recent national survey, nearly two-thirds of L&D professionals did not see their learning evaluation efforts as effective in meeting their organization’s business goals. It was probably mystery writer Rita Mae Brown (and not Albert Einstein) who first defined insanity as doing the same thing over and over, but expecting different results. But the logic still holds, when planning a training evaluation, L&D professionals typically think first about what to evaluate, and then think later (perhaps too late!) about how to use evaluation results to demonstrate the value of training. 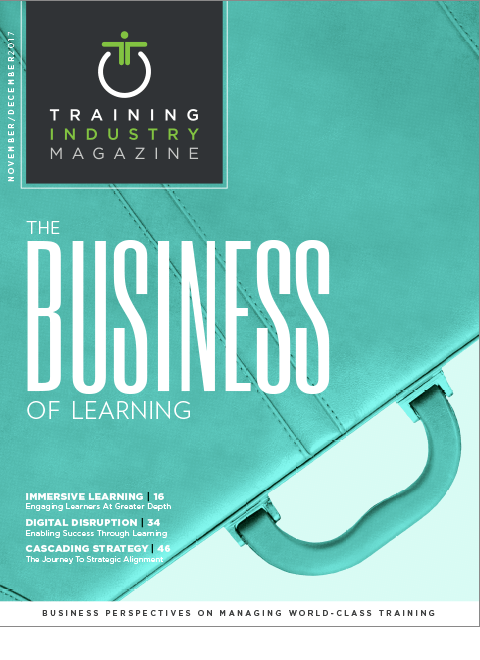 Training evaluation and learning analytics should be all about creating value throughout the L&D enterprise. When consultants are approached to provide training evaluation help, the request is often framed as follows: “We are already evaluating Level X; we need help in evaluating Level X+1.” When asked why Level X+1 is valuable, the answer is invariably, “because we are already evaluating Level X!” It’s time to think beyond levels. The goal of establishing value should always be the primary concern of L&D professionals. Just as good instructional designers should focus on L&D efforts that solve practical problems or address known competency gaps, evaluation should be planned based on knowledge of how to best measure and convey value to multiple organizational stakeholders. L&D can be seen through the lens of transactions. Organizations (and learning enterprises) expend resources to acquire, develop and deliver learning content. Managers lose team member contributions when they send their staff to attend training. These days, many learners give up family time or sleep to “learn anytime, anywhere” online. Learners, their supervisors and the organization benefit (gain resources) as a result of L&D activities. Evaluation data can quantify resources expended and gained. If we think of evaluation as making judgments about data – value judgments – then we must begin by asking not, “What to measure?” but, “What is of value to whom?” Value is created by using the data. Data remains data unless its acted upon in intentional ways. Data does not create value, it’s how you use it. The goal of establishing value should be the primary concern of L&D professionals. Answering “of value to whom?” introduces the concept of value from a human capital perspective. How does the development of individual skills and competencies relate to the resolution of performance problems? How does this development affect the potential of the organization for effectiveness and growth? Addressing “of value to whom?” recognizes that subjective judgments of value differ among stakeholders in the organization. Too often, value is defined from only a single perspective in traditional evaluation frameworks. Perceptions of value may differ from the perspective of learners, trainers/facilitators, instructional designers, training managers, CLOS and C-suite executives. Each of these stakeholders in the L&D process play different roles, hold different objectives for L&D, and should expect different data tailored to them to make judgments about L&D value. All stakeholders require relevant, timely data to perform their roles effectively and create value or to improve outcomes and create more value. The data needed to support each role should be the focus of the evaluation, not measuring levels. When we understand the ways in which stakeholders see their work and its contributions to organizational outcomes and the ways in which L&D affects those contributions, we can work backwards to design data collection to support the contributions of all stakeholders. The L&D professional is uniquely positioned to support and drive reflection on value added by multiple stakeholders. While different stakeholders contribute differently to the organization and interface with L&D in different ways, they all have the same two questions to answer related to how evaluation data can impact their role in the L&D process: “How well did I do? How can I do it better?” But, consider the types of questions that keep different stakeholders up at night, and how what data holds the most value differs by stakeholder. In the C-suite, executives are responsible for having a vision, setting a strategy and ensuring organizational capabilities are aligned and moving in the right direction. It’s a myth that all (or even most!) top executives want to see a return on investment estimated for L&D. Data does not create value, it’s how you use it. L&D impacts the people part of an organization’s capability. Thus, what is of most value to top executives is data to show that the organization is hiring and keeping the right talent, preparing them effectively to do their jobs, and preparing the current and next generation of leaders to succeed in their roles: executing on business objectives. Just as the typical sales trainee will not be interested in knowing that the organization has developed a leadership bench for the future, C-suite occupants probably don’t need to know that 95 percent of trainees found the training enjoyable or interesting. ongoing feedback loops that the evaluation system as designed is generating data, affecting decisions, adding value and moving the organization toward its goals. Notice the adjectives we used: good, reliable, straightforward, clear and ongoing. We didn’t write: outstanding, beyond dispute, incredibly detailed, or magical and mystical. We find that when L&D professionals worry that they aren’t doing enough, or wonder if they could be doing more, they instinctively look first for “better” measures. We believe that when L&D professionals find that they are not having impact, their minds go to thinking about the “next” level (e.g., If this reaction and learning data is not convincing anyone in my organization, I guess I should be measuring behaviors). Instead, we need to always return to the question of value and an understanding of our stakeholders. Remember, evaluation data only have value when the data are used by a stakeholder to create it. Who has asked for this evaluation? Who might be viewing our results? Who could do their jobs better if they knew the impact we were having? By identifying stakeholders, by having conversations about how they add value to the organization, and by framing the questions of “How well did I do?” and “How can I do it better?” into a framework of value added by stakeholder, L&D professionals can conduct evaluations that build value through learning and development data. And “good, reliable, straightforward, clear and ongoing” might be just good enough. Dr. Kurt Kraiger is a professor of psychology at Colorado State University. He is also a co-founder and principle psychologist for jobZology, a career development company. Dr. Eric A. Surface is the co-founder, president and principal scientist of ALPS Solutions. He is launching a new company, ALPS Insights, to provide learning and development analytics, insights and solutions via their SaaS software platform.